A new digital divide is emerging both within and between nations that is due to inequalities in broadband Internet access. To bridge the global broadband divide, organizations and individuals must collaborate to provide broadband access to a converged high-speed Internet for both rich and poor citizens worldwide. The authors argue that addressing this global problem is an ethical imperative that requires bridging the perspectives of multiple stakeholders and applying their collective resources, power and will. This paper develops a comprehensive framework, using stakeholder theory, which identifies the global stakeholders as well as the roles and responsibilities that these stakeholders must assume to balance their self-interest with serving the common good. The authors’ framework also highlights relationships between key stakeholders, namely governments and their citizens, businesses in the information and communication technology (ICT) industries, and other organizations. This paper makes four important observations that can guide governments and other stakeholders in bridging the broadband divide in pursuit of the common good. Broadband Internet access has become an important public policy issue in the United States (Atkinson, 2007; FCC, 2009; Hudson, 2008) as well as elsewhere in the world (OECD, 2009b). Because of complementary technology trends such as network convergence and open networks, broadband is becoming a preferred means for engaging in communication, commerce, and e-government as well as accessing information and receiving training. 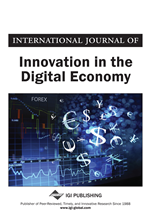 Researchers in different disciplines agree on the importance of universal broadband access to the Internet because of the economic, social and political benefits that it promises to deliver (Baliamoune-Lutz, 2003; Crandall, 2005; Gillett et al., 2006; Guillén & Suárez, 2005; ITU, 2003; van Dijk, 2005; West, 2005). Shared concerns about serving the common good by increasing high-speed access to the Internet have developed into a consensus that making the global information society inclusive is both a pragmatic and moral imperative (G-8, 2000; Norris, 2001; OECD, 2001; Tavani, 2007). Hence access to a converged high-speed Internet for both rich and poor citizens worldwide has become one of the priorities for advancing the United Nations Millennium Development Goals (Heeks, 2008; ITU, 2007; World Bank, 2006). Because universal broadband is such an important development goal, it is essential to have a global understanding of broadband diffusion and broadband affordability (Atkinson, Correa & Hedlund, 2008; Cooper, 2004; Horrigan, 2009; Lee, 2008). Of the approximately 200 nations for which information and communication and technology data are reported, about two-thirds of these have some fixed-line broadband Internet access, and between 10 and 20 nations have more than 25% of their population accessing the Internet via broadband technologies (ITU, 2009a; ITU, 2009b). (We focus on fixed-line broadband in this research since there is significantly less data available for global mobile broadband.) These statistics, however, also point to a global broadband digital divide that is due to inequalities in broadband Internet access. In 2008, the rate of individuals utilizing broadband services in rich nations was eight times greater than the rate in poorer nations, with the gap projected to widen in the near future (UNCTAD, 2009). The most recent International Telecommunication Union (ITU) assessment of the global digital divide indicates that more than 70 countries have no fixed-line broadband service and more than 30 countries have less than one broadband subscription per 100 residents. Fortunately, broadband has become affordable in highly developed countries. This has not been the case in less developed countries, with an annual broadband subscription exceeding the average per person gross national income in more than 50 countries (ITU, 2009b).